It’s March 1, we’re almost there! 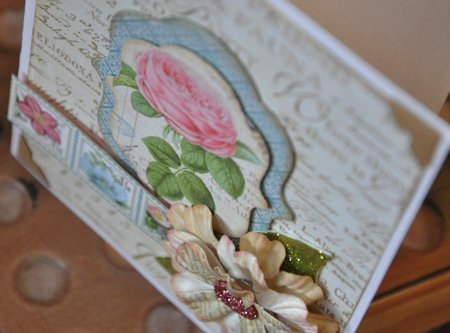 It’s been super cold here in Chicago, so I’m pulling out the flowery papers and thinking Spring. It’s Beth, and I have a little tutorial today. 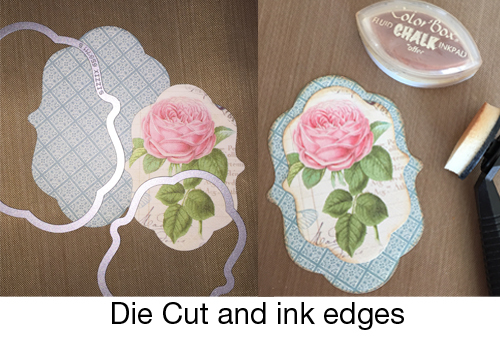 Grab some label dies and find a larger image to highlight. Die cut and ink it up. 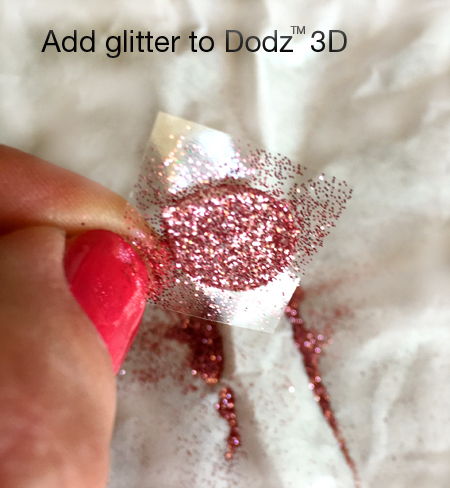 I used 3 flowers, and a Dodz Adhesive Dots 3D in between each, and then the glittered on the top layer. 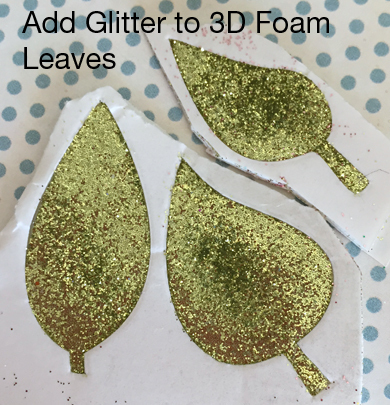 More glitter on 3D Foam Leaves! 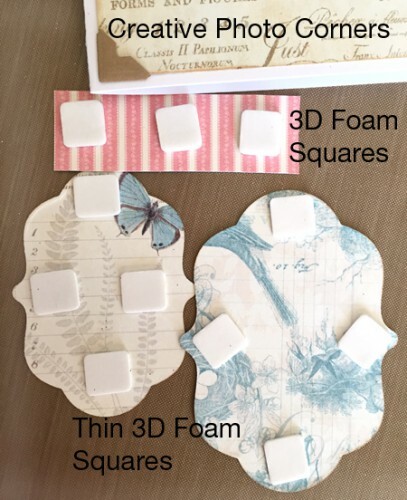 This is what I used to adhere the card – 3D Foam Squares behind the stamp images, Thin 3D Foam Squares behind the die cut pieces, and then Kraft Creative Photo Corners. 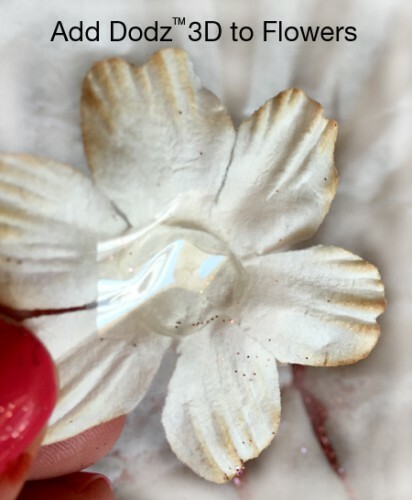 I assembled the layers and from here, you can see the dimension you get from each of these adhesives. This entry was posted in 3D Foam Shapes, 3D Foam Squares, Adhesive Dots & Lines, Adhesives, Cards, Crafts & Tutorials, Creative Photo Corners, Permanent Adhesive, Seasonal Craft Ideas, Spring, Wear your Adhesive on the Outside and tagged 3D Foam Leaves, 3D Foam Squares Regular White, Adhesive Dots 3D, Beth Pingry, Card, Clearsnap, Die Cut, Glitter, Graphic 45, Recollections, Thin 3D Foam Squares White, Tutorial, Wear Your Adhesive on the Outside. Bookmark the permalink. 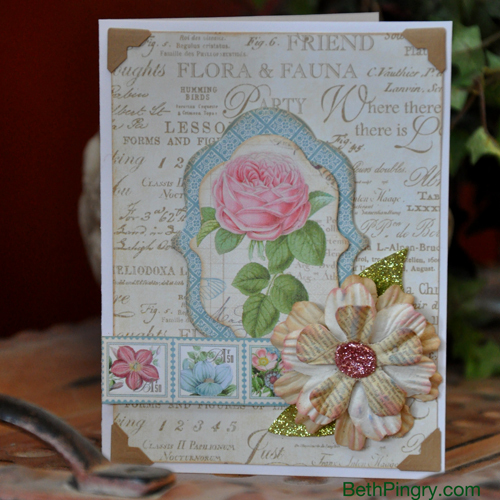 3 Responses to "Layers of Flowers Card"